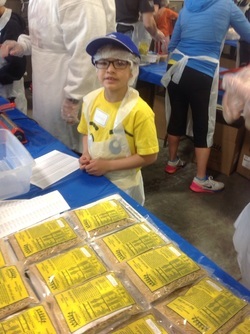 On May 2, 2015 Chicago Cares hosted their firs meal packaging event at the Lake County Fairgrounds. Over 100 Volunteers came out that day to pack more than 25,000 meals. These meals were picked up on Monday by the Northern Illinois Food Bank which distributed the food among the 300 food pantries that they serve.